With our extensive range of cushions, pillows and mattresses it is our mission to ensure that anyone with the desire to bask in an all-consuming bubble of comfort has the ability to do so; especially if comfort has been a rare commodity until now. 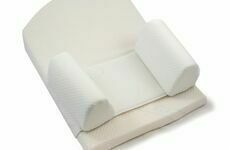 We stock a number of cushions that are designed specifically to target and relieve the pain caused by a number of ailments; such as a bruised coccyx, post-operative pain & haemorrhoids. We also offer a selection of cushions that are designed to ward away the symptoms of prolonged sitting that are typically felt by those who require the use of a wheelchair. 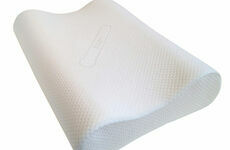 The vast majority of the products we have on offer are also available in memory foam. Memory foam is a material that softens under the weight and temperature of the human body, causing it to mould to your body shape. This in turn allows it to give support to your frame evenly; ensuring none of your weight is being focused onto any one area of your body. Once again, we would like to thank you for coming to our new website, and we hope you will find what ever you need to bring a little more cosy comfort into your life.